Wabash announced Aug. 8 a cash tender offer for $21 per share, which represents an equity value of $364 million and an enterprise value of $342 million for Supreme. Founded in 1974, Supreme is the second-largest U.S. manufacturer of truck bodies, with 2016 sales of $299 million, according to Lafayette, Ind.-based Wabash. Supreme, based in Goshen, Ind., primarily manufactures light- and medium-duty truck bodies at seven factories across the United States. One analyst, responding to the news, was supportive. 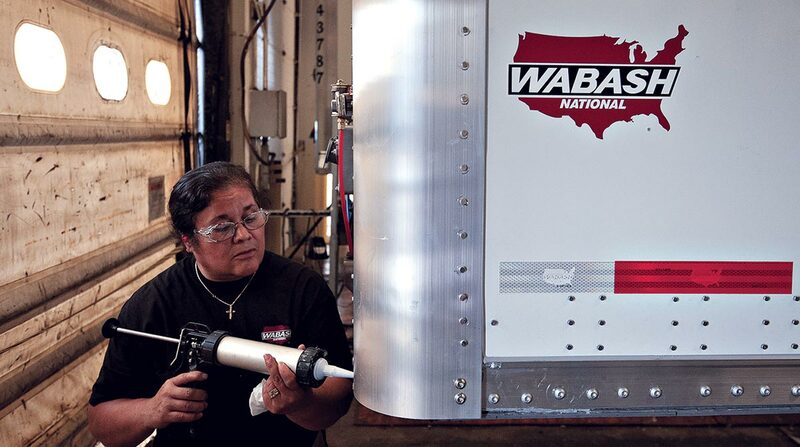 “Our initial thoughts are mildly positive on the deal as it 1) further diversifies Wabash away from the 53-foot dry-van trailer industry, 2) will be accretive to earnings and 3) should not be viewed as a ‘bet-the-farm transaction,’ ” analyst Brad Delco with Stephens Inc. wrote in a note to investors. Once the transaction is complete, Wabash would see its revenue from dry van semi-trailer manufacturing fall to “an expected” 50% in 2018, compared with 64% in 2016,” Stifel, Nicolaus & Co. analyst Michael Baudendistel wrote in a note to investors. Wabash expects to deliver at least $20 million in annual run-rate cost synergies by 2021, primarily driven by corporate and procurement expenditures, and operational improvement savings, according to the company. Over time, Wabash expects to achieve significant incremental revenue opportunities that neither company could obtain on a stand-alone basis, but it did not elaborate in its statement. Trailer maker Great Dane also owns Johnson Refrigerated Truck Bodies, which makes bodies for medium-duty trucks carrying temperature-sensitive products, including for home delivery, Great Dane said on its website, and the equipment is available through authorized Great Dane branches and select dealerships. acquisition, trucks, Wabash National Corp.